You are here: Home / Section / Checking In / Consumer-led, experience-focused, destination-delivered. That’s Queensland. Tourism is a quest for experiences. The Australian state of Queensland, rich with its culture, coasts, people, rainforests, cities, Outback and activities, has no shortage of experiences. For Queensland or any destination, a significant opportunity lies in helping travellers understand what experiences are possible, while focusing effort on making those experiences meaningful and memorable. Product and Promotion, which explores developing and marketing experiences, is one of four themes being discussed at Destination Think! Forum. As part of our Leading Thinkers series (featuring the insights of those who participated in discussions at Destination Think! Forum 2016), we asked Steve McRoberts, Group Executive Global Marketing at Tourism and Events Queensland, to explain how his DMO uncovered the value of experiences and have moved them to the center of their thinking. Destination Think! : Can you describe TEQ’s creative strategy that focuses on Queensland’s experiences? Steve McRoberts: There’s such a richly detailed journey behind it, but from the beginning we had a vision for the next ten years to inspire the world to experience the best address on Earth. That was our core driver. As a team and an organisation we recognised that our vision was a product of connecting people and place like never before. That was where our vision was born, right there. For us it’s all about being consumer-led, experience-focused and destination-delivered. It’s easy for us to say this but Queensland really does have an offering like no other. There’s a distinctiveness in its diversity, you know? This is something we could always feel and it showed through our research and consumer insights. Queensland as a master brand is held in high regard through industry and our various stakeholders. That’s fantastic; it really is. This diversity brings with it a challenge, though, in that we found each destination in Queensland carried with it a different brand equity. We needed that holistic appeal for consumers to identify with and connect to. What led TEQ to decide to focus on promoting experiences? How does this strategy help you connect with travellers and potential visitors? As I mentioned, experiences are king. It took us some time to really nail down the particulars of what we needed to deliver, but early on in the research we identified that experiences had great potential to create a competitive advantage for Queensland. That was the catalyst to our change in marketing direction. And this wasn’t taken lightly by any means; we needed to improve our market share in the face of this incredibly competitive environment we work in so a major rethink was called for. I feel that, and I know this flows on through the organisation, this new creative development is an exciting opportunity to better engage with visitors and what makes their holidays in Queensland special. 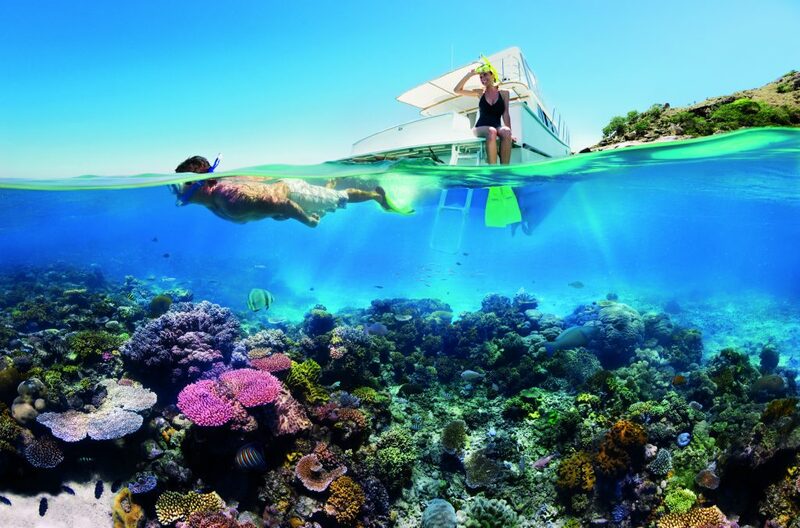 We’re saying, “come to Queensland, experience the Great Barrier Reef, see these amazing events, immerse yourself in this distinctly Queensland lifestyle.” It’s not so much about pinpointing specific destinations within Queensland, but rather pointing to experiences that take place in one or two or more of these destinations. What we’re trying to do is show that these experiences transcend destination-specific boundaries within our State. We’re looking at Queensland as a whole full of all these amazing holiday opportunities and then displaying this perspective to our consumers. External pressures can be a risk to experimenting and trying new ideas. How do you help your team stay insulated from those pressures and pursue innovation? We’re willing to walk the talk, plain and simple. This organisation has a great foundation, a really good outlook I believe and one that’s reciprocated by those we work with. And this isn’t an overnight thing; we’re transparent with both our internal and external stakeholders, and collaborative in our everyday dealings in a way that we’re recognised and respected, and can go ahead and get the job done. That’s why we’re here, right? Underneath it all we have a clear strategy. What helps us go about business is that our position and our strategy is communicated to stakeholders, it’s an open door approach as best it can be. This also limits external pressures, and when there are positive relationships in play there’s better scope to deliver results. This organisation is fortunate in that we have people who are willing to embrace change. That can be hard to find sometimes. There’s that one team one dream culture, people who appreciate where we need to be to deliver this new creative marketing direction and keep growing. How do you see the role of the DMO changing over the next five years? I see the DMO role somewhat as an evolving beast but with a fundamental core that remains true to our purpose as an organisation. Essentially we are enablers, we don’t own products or sell tangible goods. We do, however, sell Queensland through experience marketing. It’s not everything but that’s the crux of it. It’s the way we sell Queensland that is constantly changing and I see consumer insights and data analysis as a guide to this change. That information drives a lot of our decision making and we need to be in tune to facilitate the best experience possible. Tourism and Events Queensland needs to be at the forefront of innovation and creativity or else we lose out. We need to have a strong focus on delivering experiences like never before, stay ahead of the curve in our marketing activity and keep consumers interested in what Queensland has to offer. To be honest it would be great to take it all back with me, but ultimately I’m interested in the most prominent insights, maybe the key four or five insights, that we as a tourism organisation need to embrace to prosper in light of the evils out there. And by evils I mean things like global events that really hurt consumer confidence or expectations for travel, tragedies that create uncertainty which we’re seeing in pockets around the world, and the health of our natural tourism assets and attractions. I’m always interested in those hot developments, trends and innovations. Things we can focus on to move forward from a digital perspective also, like mobile technology or access to information. How does this impact the tourism environment and how can we harness these innovations to become better at what we do?